When My Troubles Are Over goes through the ring at the National Snaffle Bit Association Sale later this week, it’ll be the culmination of a dream that has been more than a decade in the making for Dean Quarter Horses owner Meagan Dean. In 2004—just weeks before attending her first show—Dean was in a car accident that left her paralyzed. In just a few short minutes, any hopes she had of going to a show turned into hopes of just staying alive. But in the months of rehabilitation after the accident, she found that horses gave her the inspiration she needed to heal. 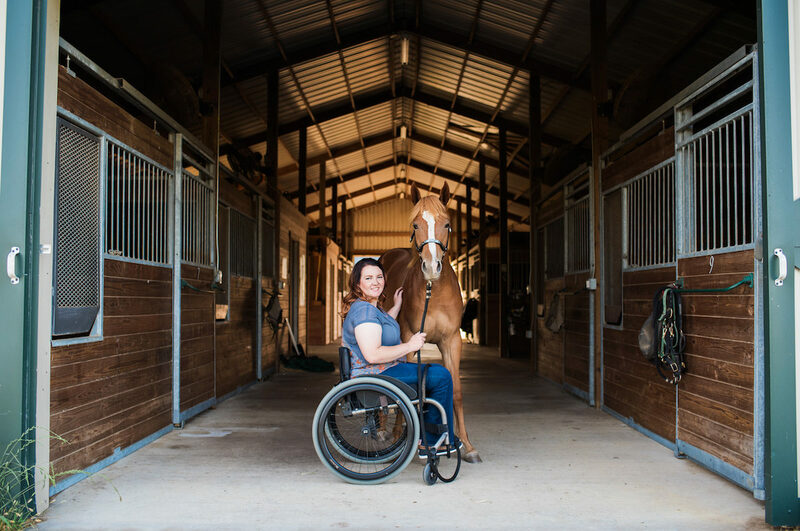 Dean realized her injuries and being wheelchair-bound would make competing in high speed events a challenge so she switched to Western Pleasure. 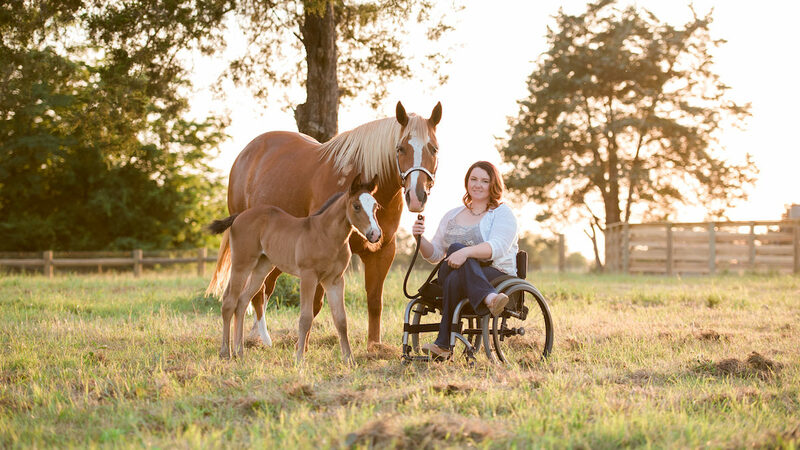 It wasn’t long before she bought her first broodmare, feeling that raising foals gave her an independence she hadn’t had since her accident. This year, Dean Quarter Horses has hit milestone after milestone with two of her homebreds showing in the AQHA Youth World Cup and My Troubles Are Over accepted into the NSBA sale. A foal Dean waited on for years, My Troubles Are Over’s name was fitting from the day she was born. The filly will be consigned by Gumz Farms, owned by Amy Gumz who has been Dean’s mentor since Dean bought a broodmare from the farm in 2013. While Gumz is impressed with her client’s will in the face of adversity, she’s also impressed with how much effort Dean has put into making the breeding program the best it can be. My Troubles Are Over is the first of a few horses Dean Quarter Horses is pointing toward the sales ring this year with a few others eying the AQHA Congress Sale in October but there’s one homebred who won’t be listed for sale any time soon. Best Thing Ever, now a 2-year-old, was put up for sale with others in her crop but it didn’t take Dean long to realize she had something special. Currently in training, Dean hopes that not only will “Surely” turn into a broodmare for Dean Quarter Horses one day but she’ll also be a horse her owner can show in a few years. With her goal of having horses shown at AQHA shows and going through the ring already achieved and the prospect of many more in the future—including one she may be riding one day—there’s no doubt Dean Quarter Horses is an operation to watch in coming years. A native of Vancouver, WA, Melissa Bauer-Herzog followed her passion for all things equine to Central Kentucky. She is a frequent contributor to America’s Best Racing, and publishes a blog on international bloodstock, All Equine All The Time.